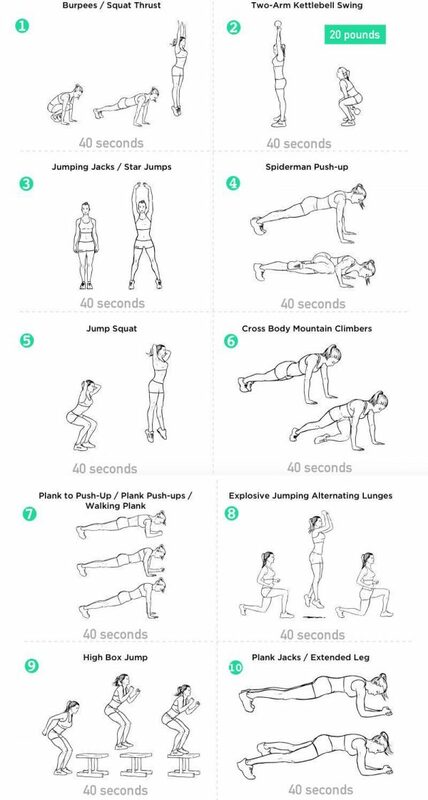 This HIIT workout is more like a challenge because is not easy and not everyone can do it. It is intense and very effective. It lasts for 1 hour and is divided into 3 parts. The first and the last part are the same and each part lasts for 20 minutes. For this amazing workout program, you will need stepper or a chair, and a 20-pound kettlebell. If is too intense for you the weights are not necessary. 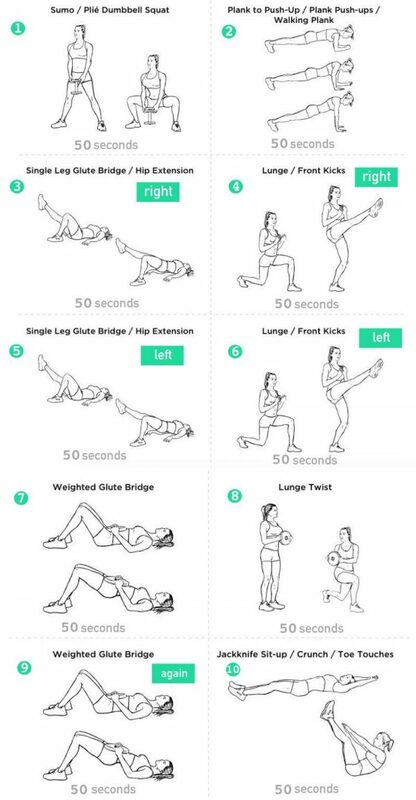 There are 10 different exercises of 40 seconds work and 20 seconds high knees, so there’s no rest. There are 10 different exercises of 50 seconds work and 10 seconds rest.